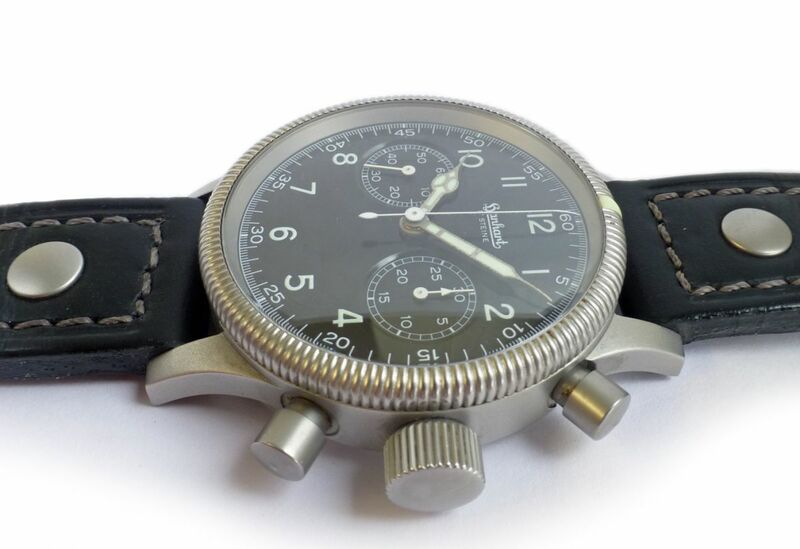 Used but mint condition truly outstanding quality re-edition of the 1939 Pilot watch, by one the worlds leading manufacturers of industrial and sports timing devices, Hanhart. 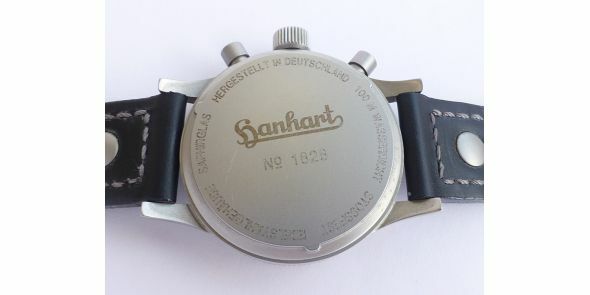 The warranty is not stamped but dates to 2005. 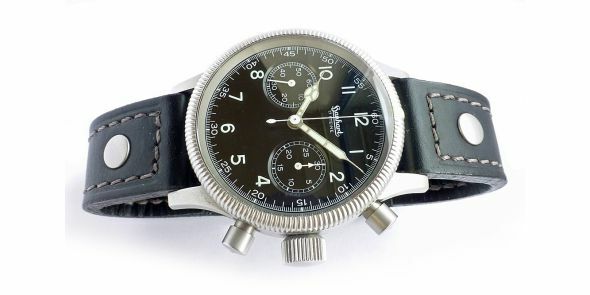 It comes on the original Hanhart black leather strap. 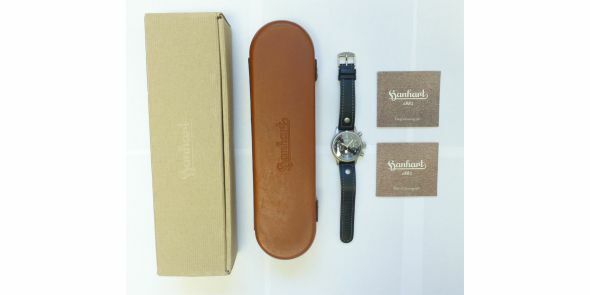 Comes complete with boxes and papers. 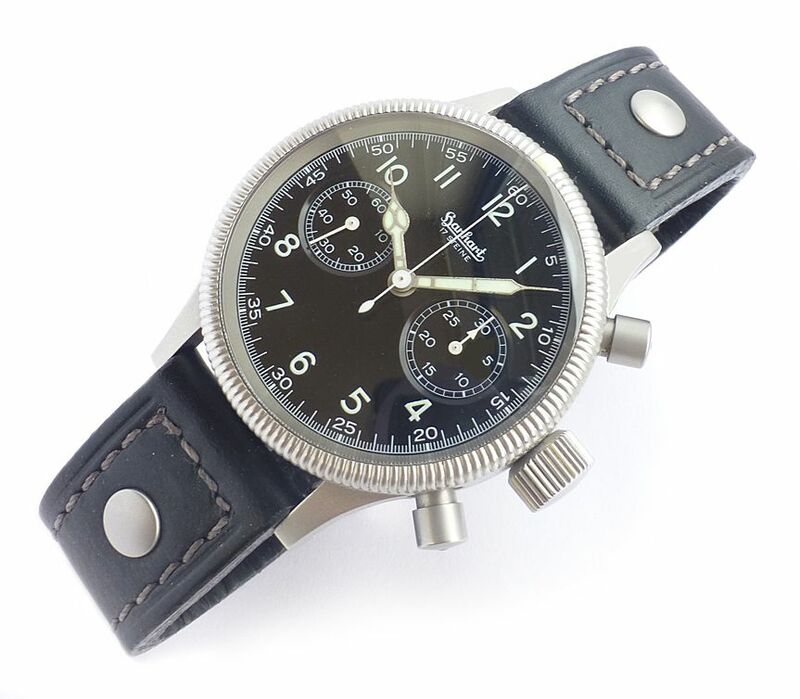 This is the watch that set the standard for pilots chronograph watches. 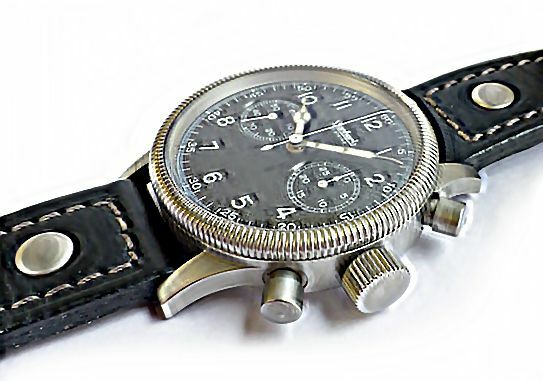 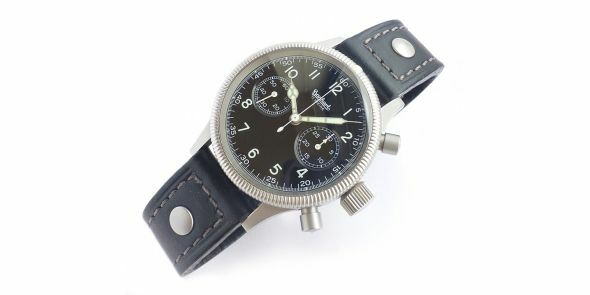 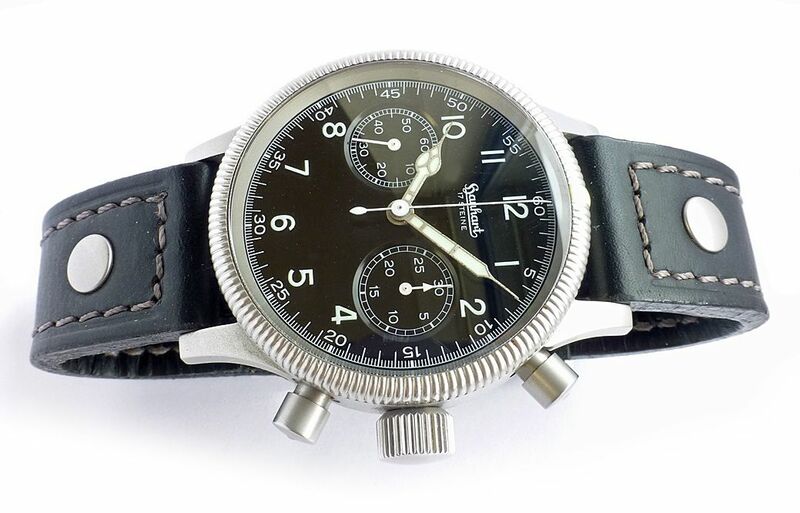 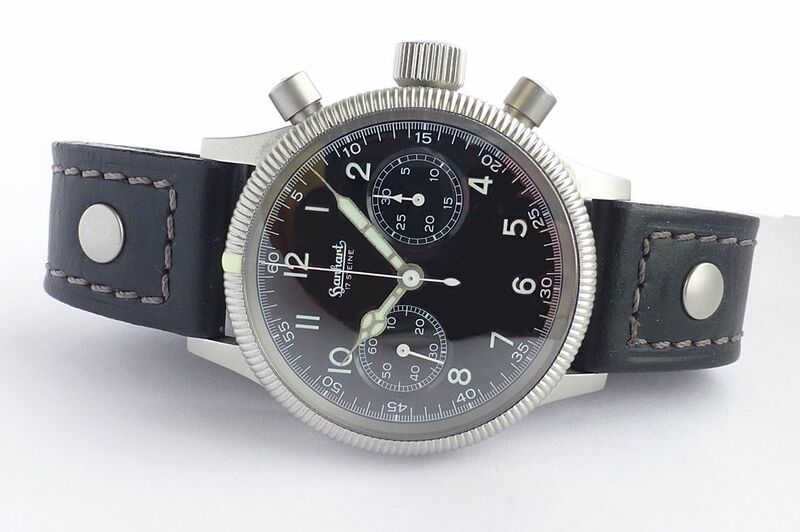 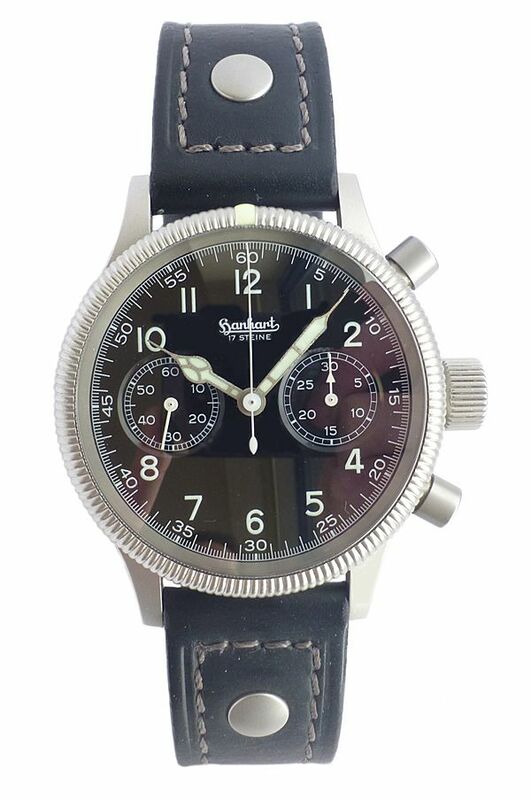 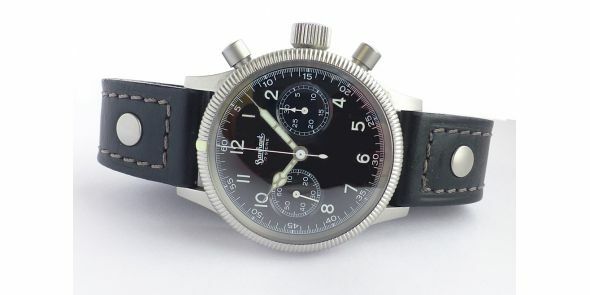 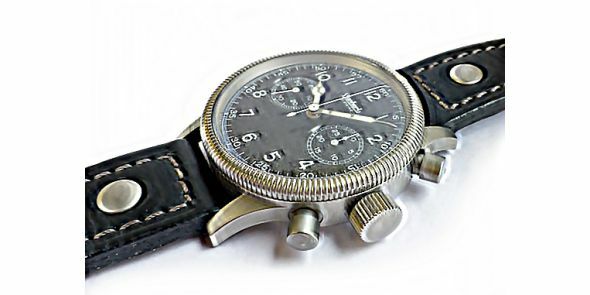 The re-edition of this legendary pilot watch is limited to 2,500 pieces this one is number 1828. 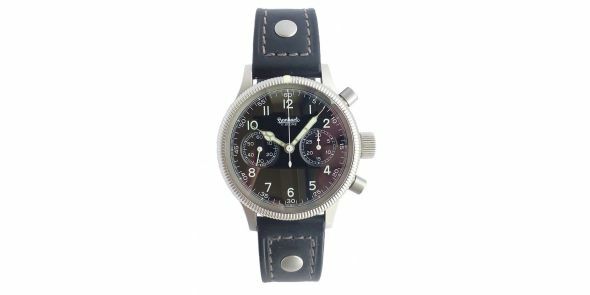 This is the most popular version of the re-edition as it is the replica of the original 1939 pilotâ€™s chronograph with stunning black dial. 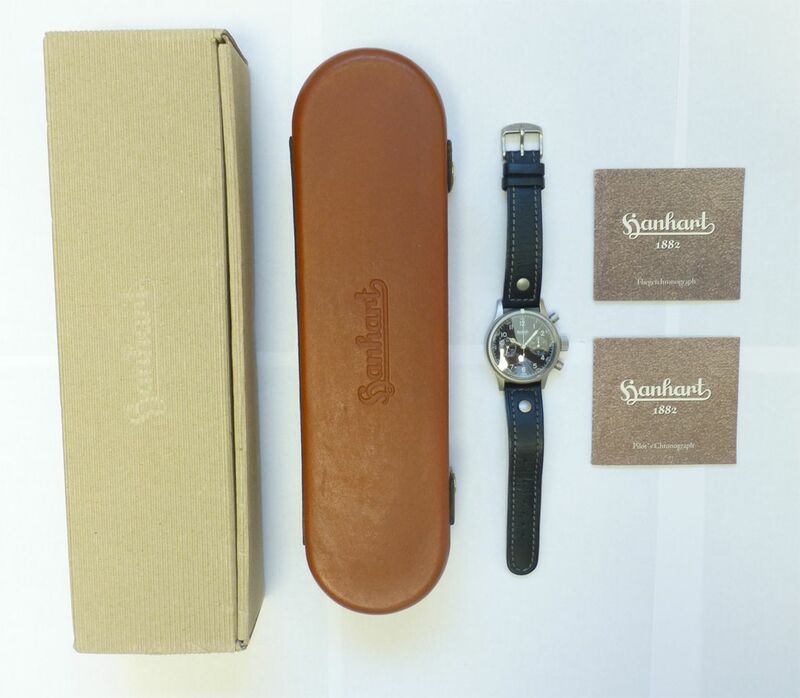 It comes with a hand finished leather case with Hessian lining. 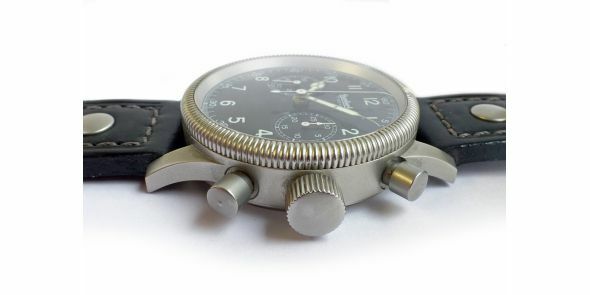 The movement is a Swiss made ETA / Valjoux 17 Jewel calibre 7760 running at 28,800 bph and a 42 hour power reserve. 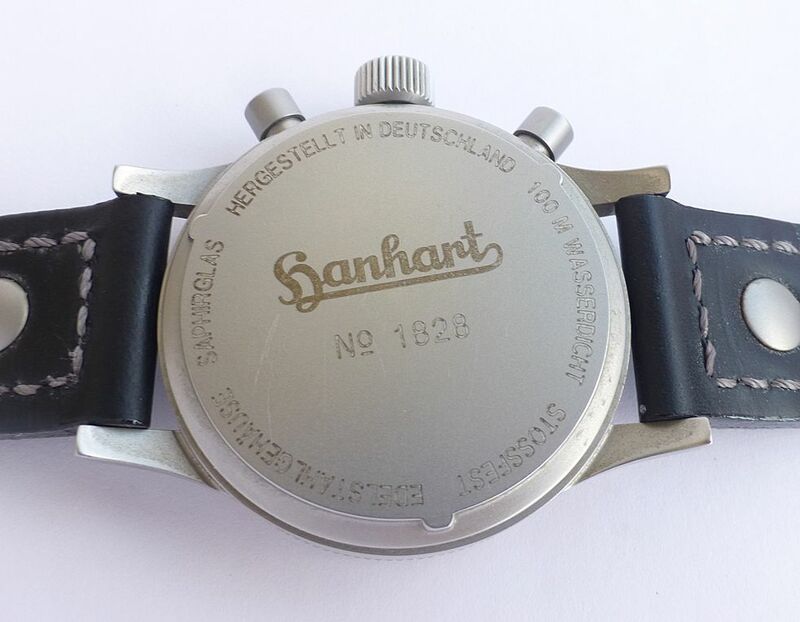 Fluted non ratchet rotating bezel with luminous positional marker, also luminous dial markings and hands. 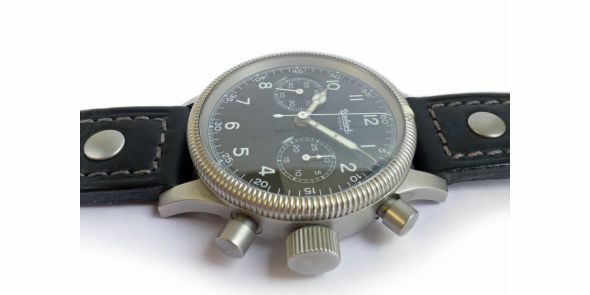 It has a domed sapphire crystal and is water resistant to 10ATM (100 metres). 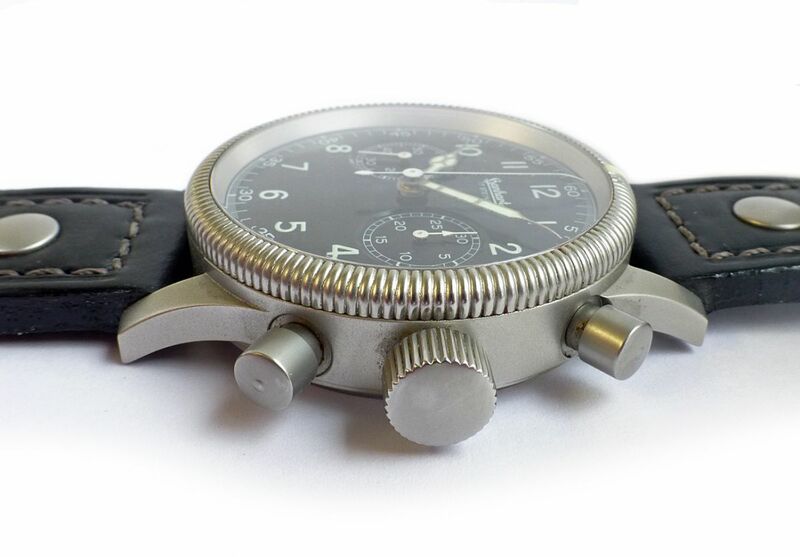 Width is 40 mm excluding crown and 45 mm including crown, Lug to lug is 49 mm, Thickness is 13.5 mm.